Mira Of The Pleiadian High council & Lady Anneya Of The Jupiter Command. In this Now , there is no past present or future only the eternal Oneness. It is in this Now ‘ Of primordial light, that fills you and creates you as eternal beings …. That We are All Eternal extensions of the one primordial light , the primordial creator Most High – Masculine feminine. And We greet you as equals …. as One, …. 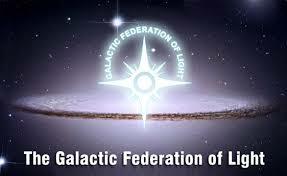 As a unified cohesive whole as brothers & Sisters as your Galactic aspects of self . I Lady Anneya Of The Jupiter Command & Mira Of The Pleiadian High council. We Come today with divine feminine Energy to disseminate to our beloved extended family on Gaia . It is the supreme being of all supreme beings ‘ sending fourth extensions of the Photonic Energetic plasma light or – Electromagnetic waves that come into your cosmic sun which is also A divine cosmic supreme being, The alpha and Omega primordial force of kinetic energy. This light is so powerful as it comes into your solar system through your divine creator solar logos ‘ . That we on our Merkaba star ships contain the light and then Distribute it out in wave formation down to your planet through the starsseeds the light-workers light-warriors ‘ groundcrew that anchor the light into the core of Gaia , sometimes it is necessary for our ships to contain the light , as too much light could be detrimental on your collective timelines , too much light at once can push the “completion timeline “ of its propulsion, if the collective is not quite ready to retain that amount of Kinetic energy. As you are all at different levels Of evolution on this University you call Gaia. Much of the kinetic energy is being showered upon your planet now ‘ and there will be an influx of energy activating more of your collective on what you call your spring equinox that is coming up in what you call “March “ and also another mass infusion of Convergence energy coming in your “summer solstice “ as these are activated Stargate portals of The 3,6, 9 primordial Spirit matter force . (finite kinetic Photonic energy) . Of The Jupiter Command Counterpart Of The Ashtar Command. Express to you as I And We have expressed through many other Earth ambassador channels of Light. (Final Contact) with your species. Final contact with a lower vibrational species of a 3rd /4th density realm fluctuates , it jumps with your timelines , that you as a collective control predominantly. As we monitor your progress , we see how we can accomplish the mass landings & first contact ‘ , we see the timelines have moved ‘ and fluctuated over What you perceive in your linear expression as (years ) …..
it is simple , Timeline probable outcomes ebb and flow …. So we ebb and flow with your progress …. As a collective it is you beloveds Who fluctuate your timelines. Your collective pushes the probabilities in many different directions onto many different quantum Algorithms…..
because you have FreeWill and we all operate in a free will universe. This means we can manipulate the collective timeline and push the collective timeline onto the correct “line of site” . …..
and this is what you are moving onto now as a planetary collective. And we are getting closer and closer to the optimal timeline of first contact. In your future timelines there are some hurdles that need to be jumped over as a collective, you have been going through a mild pole shift or (polarity reversal) …. That will increase in the mentum, but this is nothing to fear ‘ as we do not operate in fear , all is perceived levels of consciousness awareness, and how you determine your outcome … will be precisely that… , it will be your outcome ….. As your soul contract was already determined way before your incarnation of exactly where you will be placed ‘at the right time and the linear fashion ‘ to experience all that you experience at once….. remember you chose this , you choose to experience all that you experience as a developing soul. Now ‘ We do not give dates and times for (first contact) for we operate in zero point ‘ we operate in the ever eternal Now , we do not operate with times and dates as all energy flows within zero point so there is no time. So we ask you all To stay vigilant to stay steadfast , stay holding your light and anchor your light, …in the moments ahead…..
And you as galactic humans will be part of an intergalactic Federation of unity oneness fortitude 💕& love . As We stand with you…..
And see to …. the days of peace and non-duality …. I Mira Of The Pleiadian High Council- With Lady Anneya & Commander Ash’Tar’Ke’ree Of The Jupiter Command & Ashtar Command & Federations Of light . Are with you always ❤️ with love and blessings ‘ …. As the days are no longer dark …..
For the light has won …..
For love has won …..